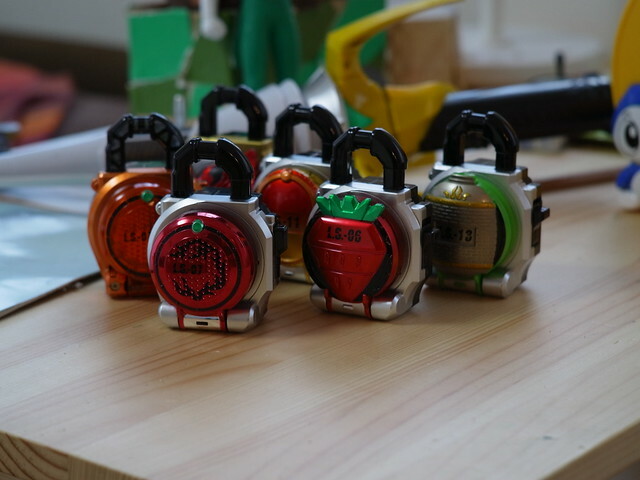 My son currently likes Japanese TV superhero character Masked Rider Gaim. 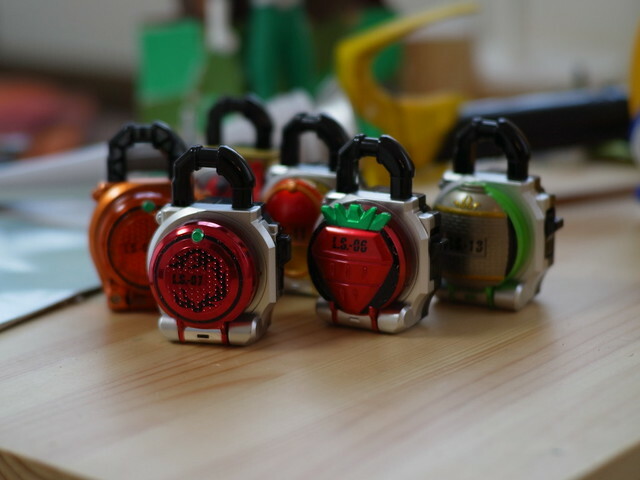 The series has a power-up item shaped like a lock embodying a fruit. 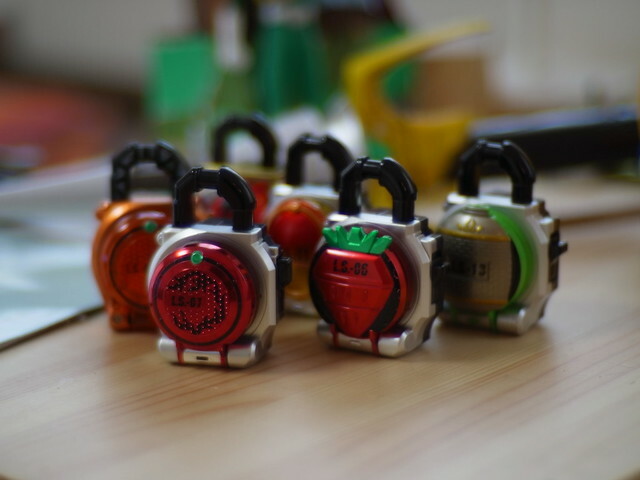 Since he wanted me to take some pictures of his collection, I decided to take the Sonnetar 1.1/50 on my Ricoh GXR and took a few pictures. For fun, I decided to play with the aperture of the Sonnetar lens a little bit, changing it by approximately two stops at a time, F1.1, F2,and F4. while at F2 the spherical aberration subsides significantly while retaining its Sonnar like qualities. By F4, there is a significant increase in resolution. It's fun to see the effects of the aperture with a direct comparison with a similar picture to compare it to. Admittedly, I don't do this very often, but I was able to confirm why I like Sonnar type design in today's Gauss based normal lenses. I read once photographer Akihide Tamura once describe modern lenses or lenses with modern design such as aspherical elements as "distilled water", certainly high quality and rid of any bacteria, but with no taste. Conversely, classical lenses or lenses with a more classical design approach are described as "spring water", filled with minerals and from nature but perhaps not for everyone. Fun times to try out a new lens in this day and age, classical design lenses are abound, especially for Leica mount.